To design and install a sound insulated ‘Room Within A Room’ (R.W.A.R.) 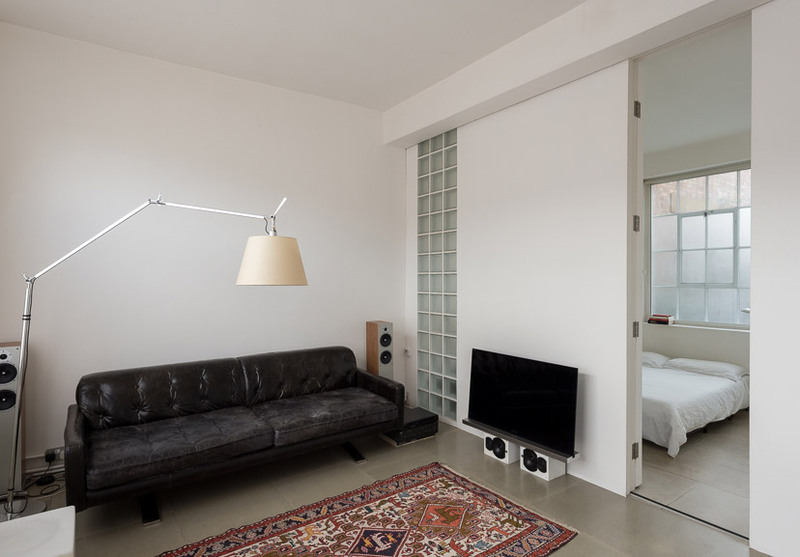 system, for an open-plan loft apartment, located in central London. Specifically, the client required a ‘quiet space’, to retreat to for rest and relaxation; acoustically isolated from adjoining apartments and the outside environment. To design and install a R.W.A.R. system that blends sympathetically with the existing architecture, originally designed by celebrated Czech architect, Eva Jiricna. For more information, please view the short film at the foot of the page. 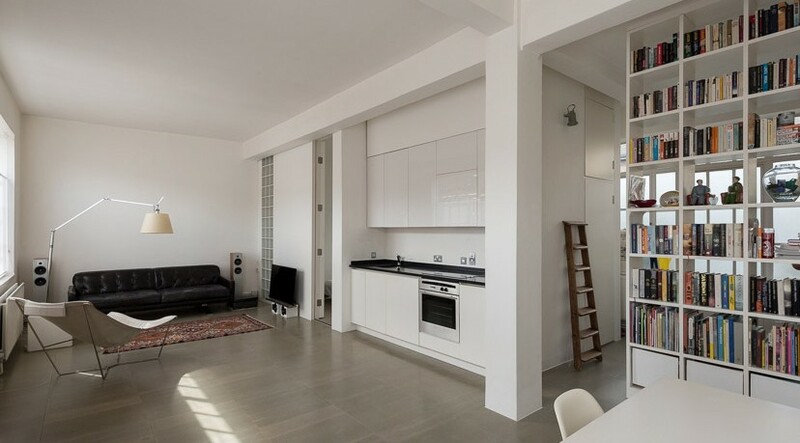 Additional works included an acoustic floating floor system, to attenuate impact and airborne sound transmission to and from the downstairs apartment, which, through the use of polished concrete-impregnated, sound insulating floorboards, created a striking design feature. 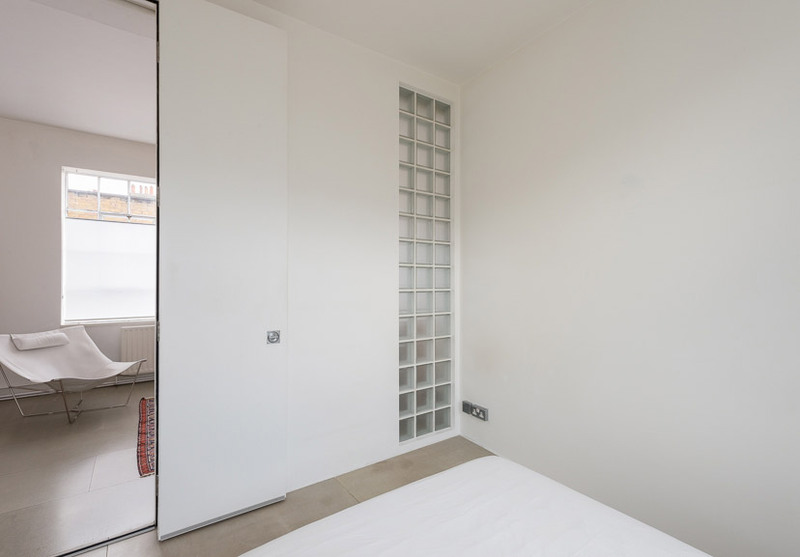 The client also commissioned a floor-to-ceiling, open shelving-unit, which divides the space and, once filled, absorbs and deflects internal airborne sound passage.